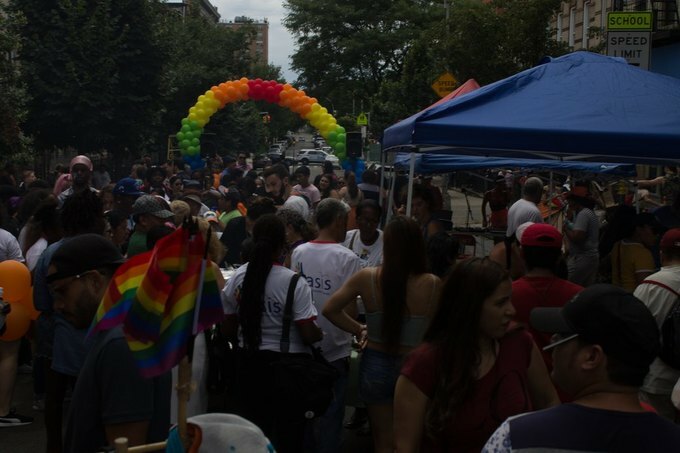 The 13th Annual Bushwick Pride event celebrated Bushwick's LGBTQIA community. 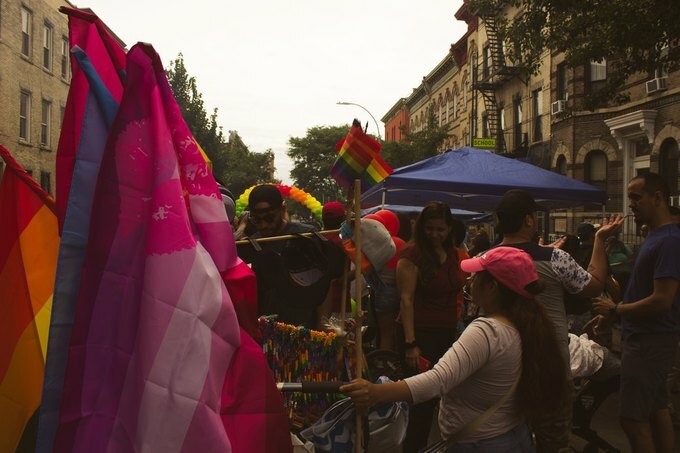 On Saturday afternoon, Bushwick celebrated the neighborhood’s LGBTQIA community at the 13th annual Bushwick Pride, hosted by Make the Road. 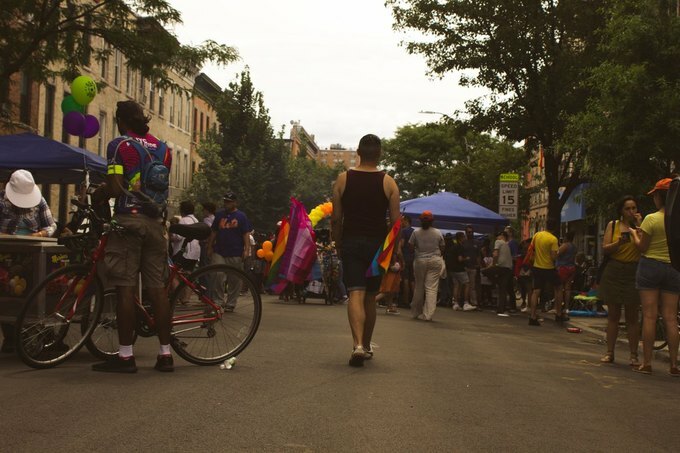 Bushwick Pride provided a unique kind of party. 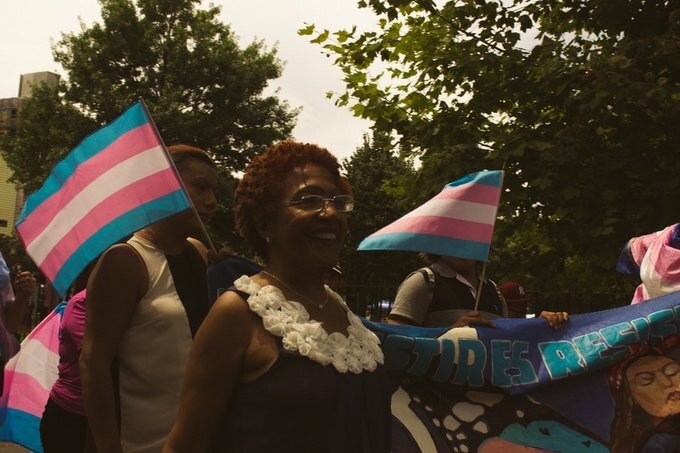 While larger pride parades often focus on whiter, more affluent communities, this hyperlocal event shone a light on the effects that gentrification has on queer people of color and focused on connecting them with local organizations that can provide resources and support. 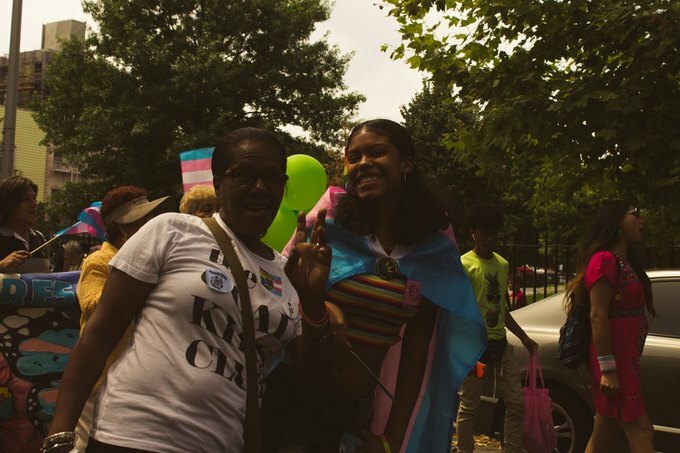 Pride kicked off with a resistance march and was followed by a full-blown block party, complete with tasty food and tons of dancing. 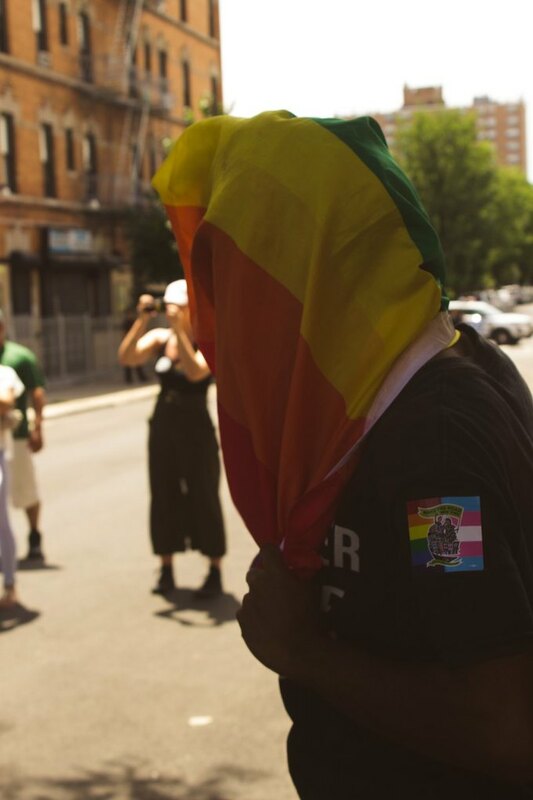 Before setting off to march, Ayo Taveras, the GLOBE organizer at Make the Road, told the crowd, “Bushwick Pride has always been about resisting gentrification in Bushwick.” Marchers cheered in agreement. 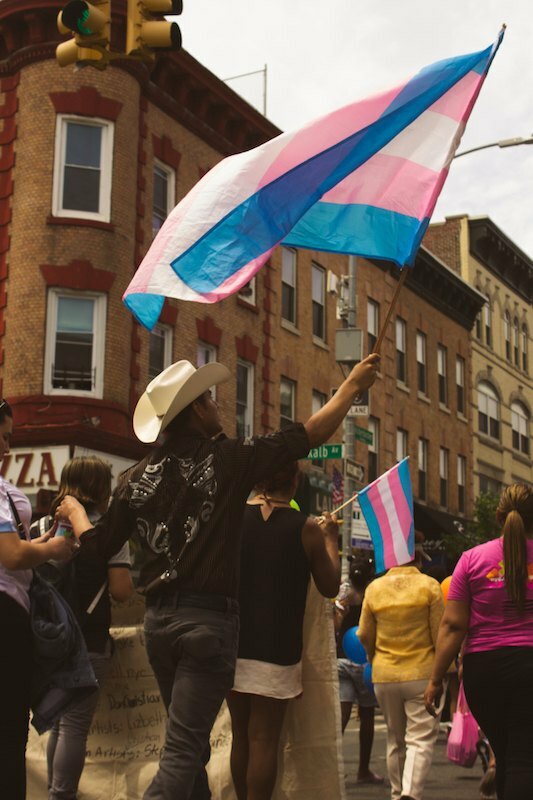 Led by a full band and a group of dancers from Gotham Cheer, the Bushwick Pride crowd of around a hundred people chanted in both English and Spanish as onlookers from the sidewalks and apartment buildings cheered in support. 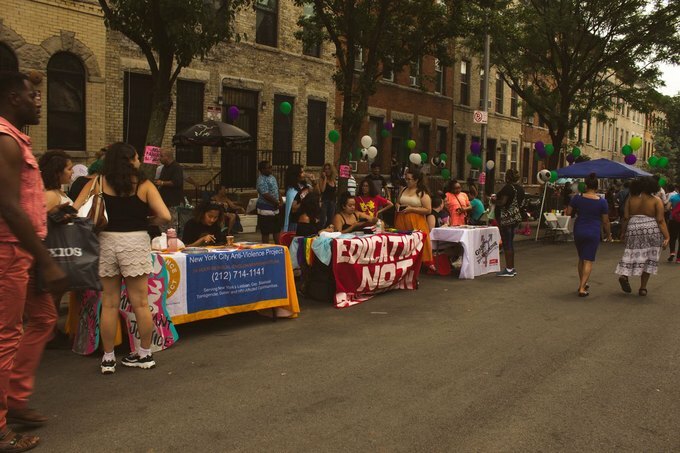 Once marchers made their way back to Grove Street, the block party roared into full swing. Attendees danced, ate, and watched live spoken word and musical performances. 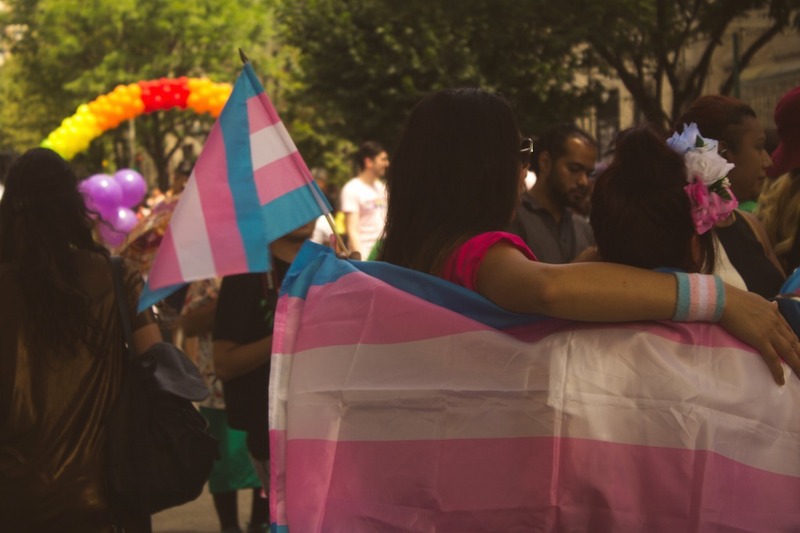 Local community organizations, like Wyckoff Medical Center, the New York City Anti-Violence Project, and the Gay Men’s Health Crisis had booths set up where they handed out goodies and information about the services they provide. Children chased each other, darting in and out of the crowd, while a slew of older residents lined their chairs up under the shade of some trees to get some respite from the hot sun. 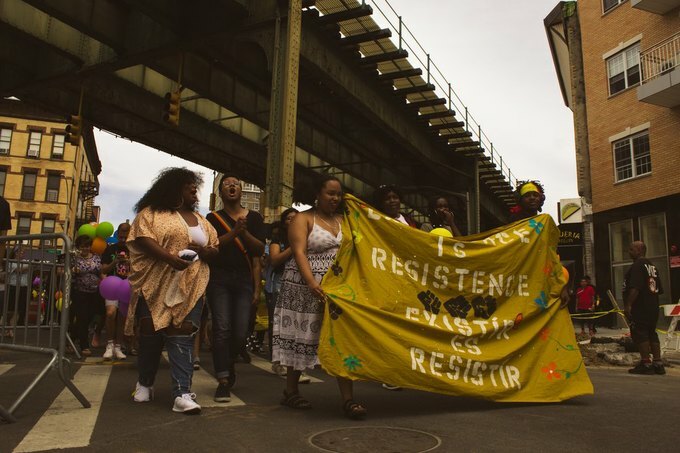 The afternoon highlighted the beauty of Bushwick's many communities and served as a reminder about the importance of fighting to preserve them.